It was crushing. Maybe soul-shattering. But not season-ending. Not yet. 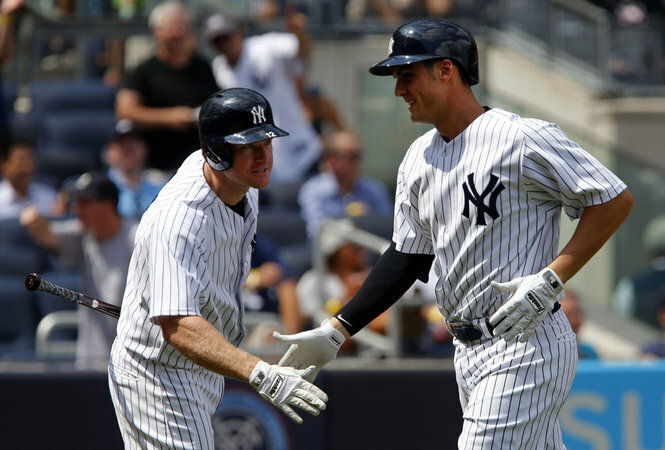 The Blue Jays today pulled the rug right out from under the Yankees, rallying late with a power surge to hand the Bronx Bombers a 4-3 loss in Toronto. 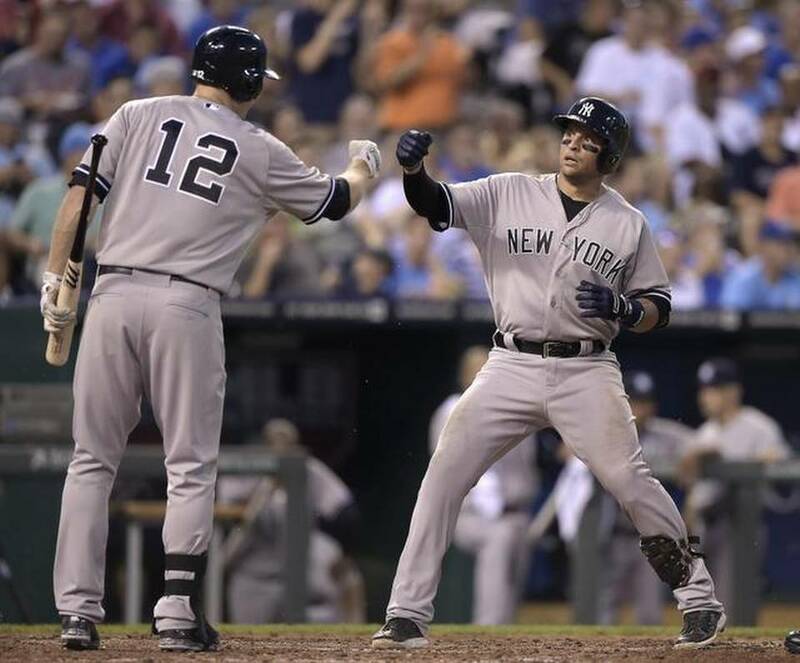 Melky Cabrera homered to start the comeback, once again proving how all ex-Yankees kill the Yankees. Jose Bautista followed with a home run of his own, and Edwin Encarnacion “walked the parrot” after his home run – which, if he had played that gimmick during the Roger Clemens days, he would’ve earned himself a bean ball. Munenori Kawasaki delivered the death blow in the seventh with an RBI single. The Yankees didn’t do themselves any favors this past week in terms of winning series, going 3-4 on their three-city road trip. Now they come home for a nine-game homestand, kicking it off with a series on Tuesday night against the pest-like Boston Red Sox – and you have to have every reason to believe Boston will try to play spoiler. 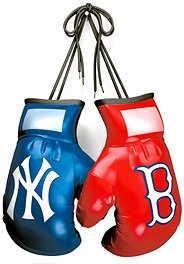 No doubt the Red Sox would love nothing more than to knock the Yankees down the proverbial Wild Card totem pole. 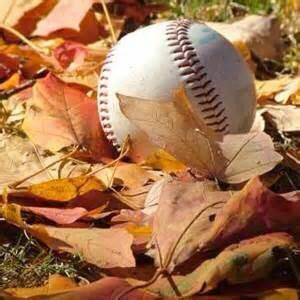 To be real for a minute though, it will be difficult for the Yankees to make it to October, but the opportunity is there. It’ll come down to whether or not they hit the ball and beat the teams in front of them in September. The key for them is to buckle down and stop giving away games the way they did this afternoon at Rogers Centre. While the Yanks are treading water, one team that isn’t struggling to maintain a pulse is the Hudson Valley Renegades – the MiLB team I’ve written about a few times this summer on the blog, as I have been their beat writer for The Examiner throughout the New York-Penn League season. 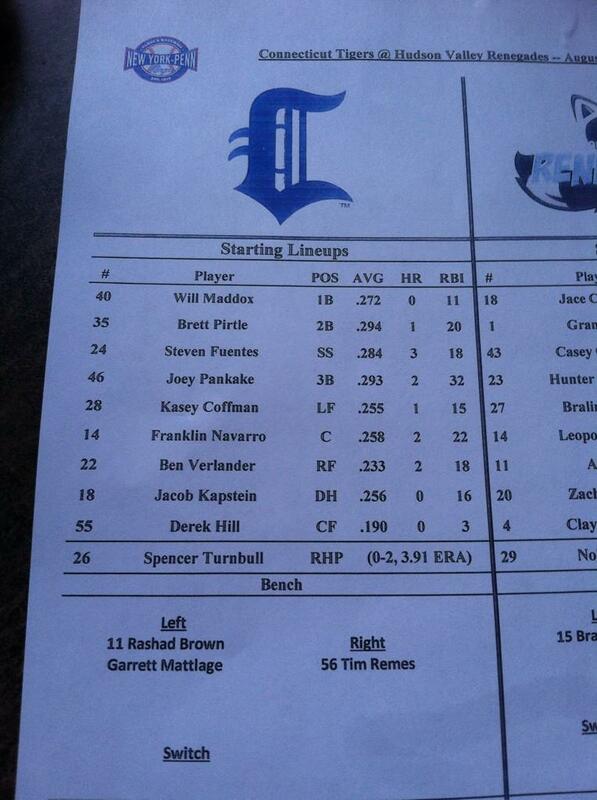 This past Friday night was the latest game I covered – the ‘Gades hosting the Connecticut Tigers at “The Dutch.” When I got to the press box I was surprised to look at the lineup sheet and see Ben Verlander’s name in the Tigers’ lineup. Ben of course being the younger brother of Justin Verlander, the ace of the Detroit Tigers, and the former AL Rookie of the Year, MVP and Cy Young winner. After a 5-3 win over the Connecticut Tigers this past Thursday night, the Hudson Valley Renegades celebrated by spraying champagne and dumping the Gatorade cooler over manager Tim Parenton’s head, the Gades having clinched the New York-Penn League McNamara Division and a spot in the postseason. The excitement and momentum of earning a ticket to the playoffs for the second time in three years didn’t carry over to Friday night at Dutchess Stadium, however, as Hudson Valley came up short in 11 innings to the Tigers, losing 5-4. Tied 4-4 in the top of the eleventh inning, Connecticut right fielder Ben Verlander – younger brother of Detroit Tigers’ ace and former American League Rookie of the Year, Most Valuable Player and Cy Young Award winner Justin Verlander – led off with a well-struck double to centerfield. Renegades reliever Mike Franco then threw two consecutive pitches that got by catcher Zach Marberry, allowing Verlander to score the decider. To him, the win was important, as the Tigers are trying to stay alive for a possible slot in postseason as a Wild Card team. “It was just a crazy game,” Verlander said. “We needed that one as far as the standings go. We try not to look at scores, but we knew in the dugout (the team in front of us) Brooklyn had lost, and to be able to score that run in the eleventh was big. The Renegades didn’t go down without a fight, putting runners on second and third with two outs in the last of the eleventh. Left fielder Grant Kay stepped up looking to deliver the goods, but struck out swinging to end the game. Parenton feels his team has the ability to put pressure on the other team, even in games they lose. The Renegades trailed 2-0 in the third, but were able to take the lead with three runs. Right fielder Hunter Lockwood grounded out to third, allowing second baseman Jace Conrad to score. Designated hitter Bralin Jackson followed by smacking a booming triple into the right field corner, which plated Kay. Jackson then came home on a balk by Tigers starter Spencer Turnbull. In the sixth the Gades padded their lead, receiving an RBI double swatted down the line in left field off the bat of center fielder Clayton Henning. With Hudson Valley up 4-2 the Tigers answered in the seventh, scoring a run on a wild pitch by reliever Gerardo Reyes, and the tying run on an RBI groundout by Will Maddox. Renegades starter Nolan Gannon, who came into the game with six wins under his belt and an ERA of 2.77, let up two runs on four hits, but settled down, retiring the last eight he faced over five innings. He walked two and struck out one. On Saturday the Renegades once again fell to Connecticut, losing 2-1. Parenton doesn’t seem worried though, and is thrilled to be managing in the postseason in just his first year as a professional skipper. The New York-Penn League playoffs begin Wednesday. Note: I asked Verlander what his impressions were playing at Dutchess Stadium. He said, “The ballpark is great, the atmosphere is great. But I’m not a big fan of turf. It is what it is, though.” The Renegades are one of only five minor league teams that play their home games on artificial turf. 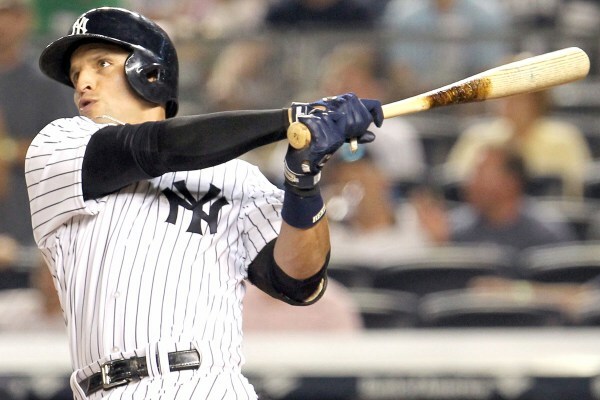 HOUSTON – To most people the Yankees went berserk with their free agent signings this offseason. 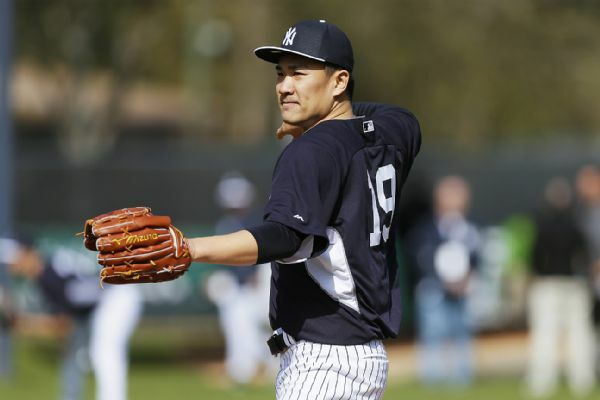 But it appears Jacoby Ellsbury, Brian McCann and Carlos Beltran just weren’t enough – and we won’t know until Friday whether or not Masahiro Tanaka will deliver the goods. 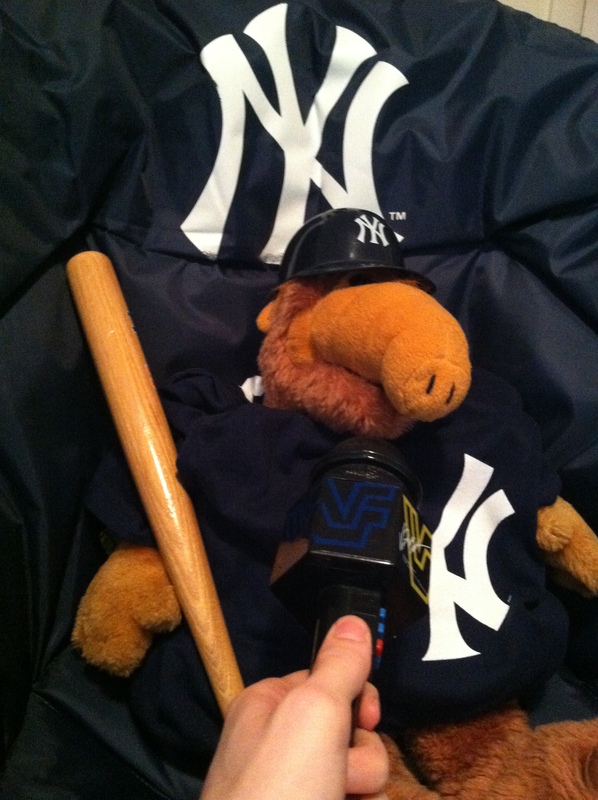 After a deflating 6-2 loss in their season opener against the Astros last night, the Yankees announced today they have signed utility free agent slugger Gordon Shumway to a 5-year, $65 million deal. He is expected to play tonight. Shumway, a native of the planet Melmac who most people recognize as “Alf” the alien life form, held a press conference this morning at Minute Maid Park and talked about how he plans on helping the Yankees pick up a winning attitude. In that game vs. the Little League team, Alf hit three home runs and stole five bases on the way to a 10-0, mercy rule win in five innings. To say the least, he has plenty of confidence he will bring that type of energy to the Yankees. 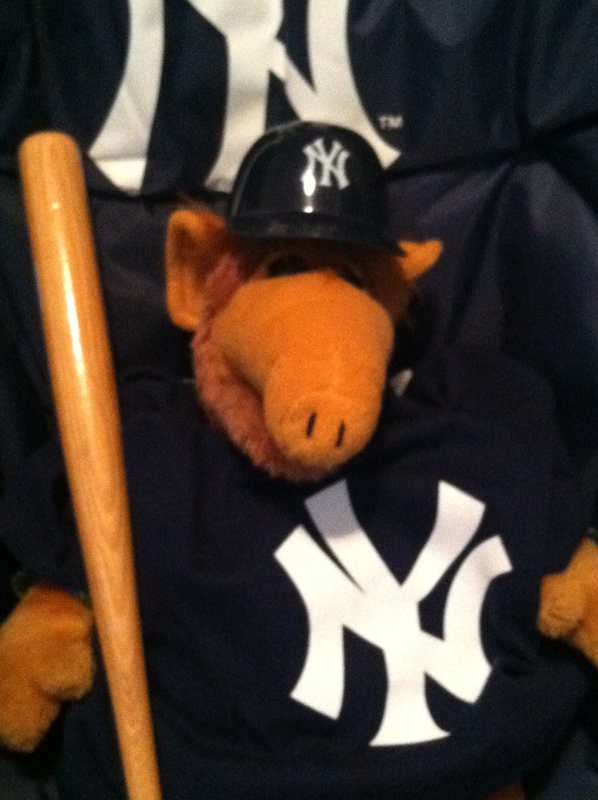 Alf brings a swagger to the Yankees like no one skipper Joe Girardi has ever seen. General Manager Brian Cashman also drew a comparison between Alf and Rodriguez, though he expects no problems with the radical, rookie extraterrestrial. Alf foresees no troubles in the next five years, citing his only desire is to play ball and win it all. Tonight’s starting lineup will include Alf. He will bat cleanup against the Astros and promised the fans back in New York he would hit not one, but two home runs to make up for, what he called, an “embarrassing” loss last night. 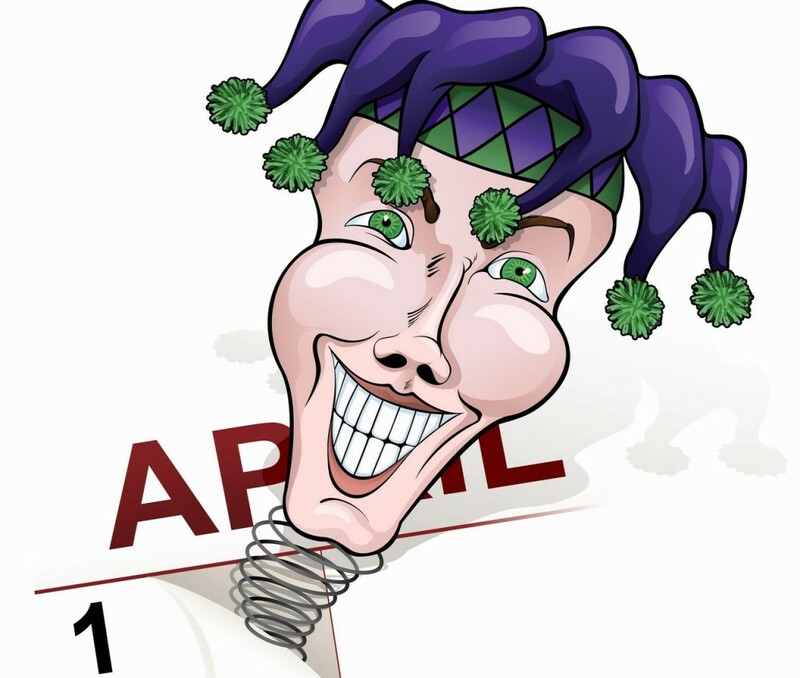 Another one of my ill-fated attempts at humor in a (belated) April Fool’s Day effort. You can check out some of my past foolish attempts here (Ted Danson/Paul O’Neill), here (Michael Pineda selling ice cream), and here (CC Sabathia playing Fat Albert). 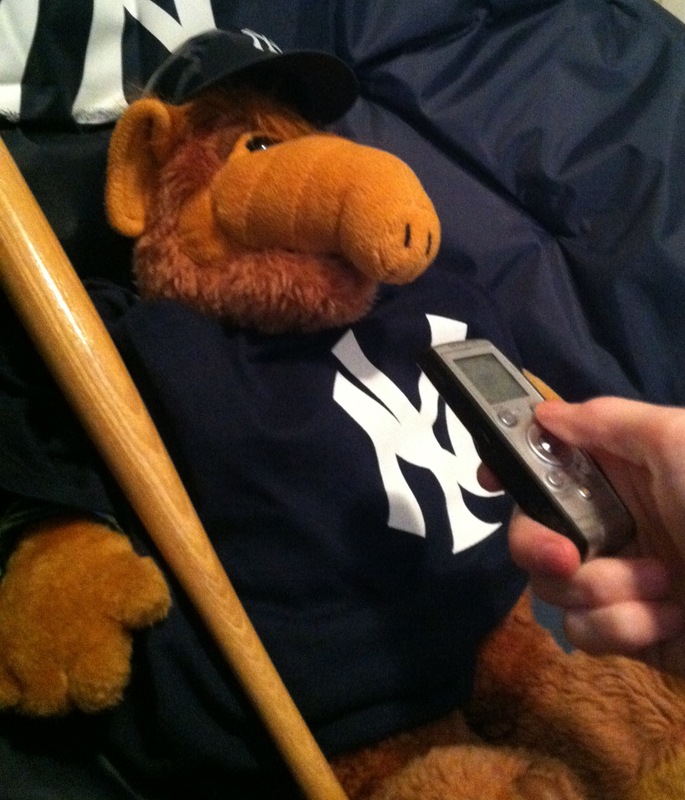 Tonight – without the help of Alf – the Yankees look to pick up their first win of what will hopefully be a prosperous 2014 MLB season. Side note: I did an interview last Friday for my fellow blogger Alicia Barnhart and her (awesome!) 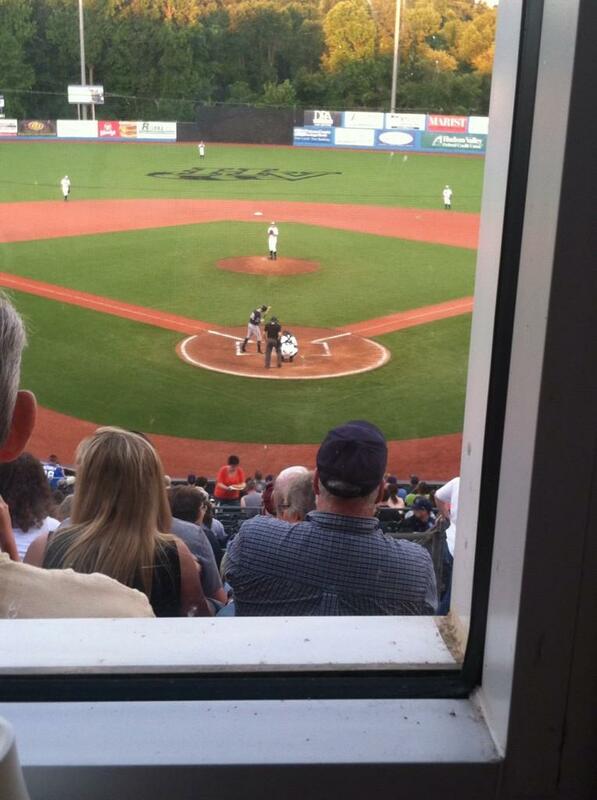 blog Ballparks on a Budget. Feel free to give it a read right here! 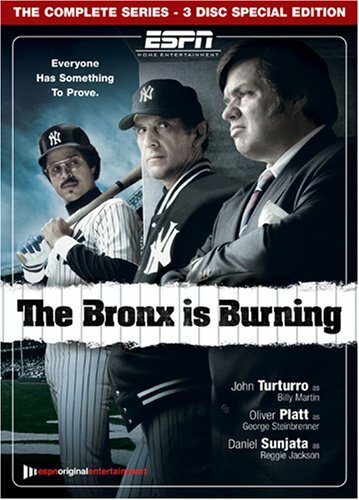 If you watched the brilliant 2007 miniseries The Bronx is Burning, which detailed the radical 1977 New York Yankees season, you might remember how eccentric former Yankee owner George Steinbrenner was portrayed. The Boss would get ticked off very easily at the most minute happenings, if you recall. “We lost an exhibition game to the Mets – to the METS!” he snarled in one scene. It leads me to believe that if Steinbrenner was still alive, and saw what happened last night in Panama, he would have lost his marbles. Not only did the Yankees lose an exhibition to the Miami Marlins, baseball’s biggest joke in the eyes of most fans, they were no-hit. I repeat: the Yankees were no-hit by the Marlins. The fact that the game was being played in honor of Mariano Rivera in his native Panama at Rod Carew Stadium – and the fact that Rivera was in attendance to witness this negative piece of history – only hurt more, in this writer’s eyes. 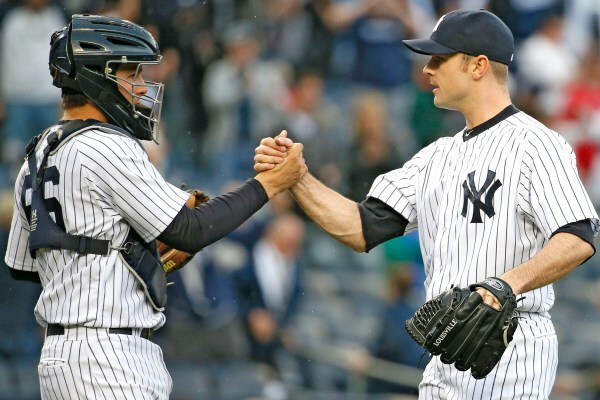 Now granted, a number of big names like Ichiro, Jacoby Ellsbury, Mark Teixeira, Brian McCann and Brian Roberts didn’t participate in the no-hitter, as they were stateside in Florida playing the Baltimore Orioles. Yet a few of the key regulars didn’t impress. In fact, they played a royal hand in being no-hit. Derek Jeter, Carlos Beltran, Alfonso Soriano, Brett Gardner and Francisco Cervelli were a combined 0-for-14 with one walk and six strikeouts. 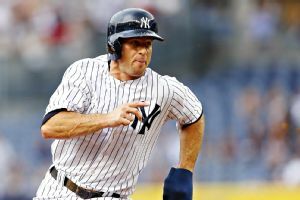 Gardner was the only one of the five regulars to reach base via a walk, and was only one of two base runners all night. Zelous Wheeler drew a walk in the eighth inning but that was all the offense – if you can call it offense – the Yanks could muster. 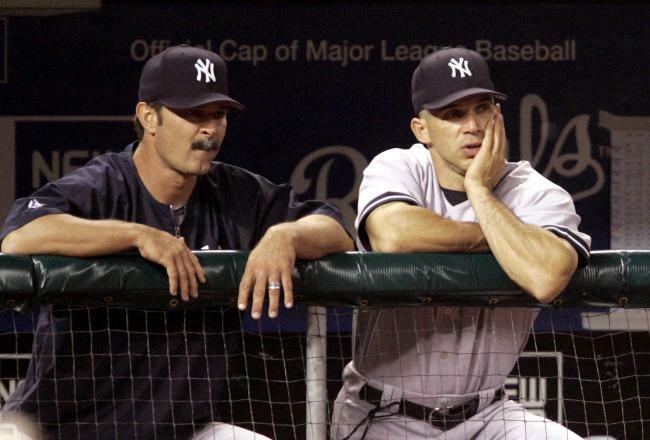 The question I kept asking myself was, when is the last time the Yankees were no-hit in spring training? Better question: have they even ever been no-hit in spring training? 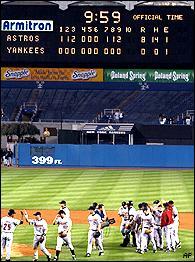 The last time they were no-hit (to any capacity) was June 11, 2003 at the hands of the Houston Astros. Coincidently enough, Jeter and Soriano were a part of the no-hitter in ’03 to Houston, as well as a part of last night’s struggle. What’s funny is today, in the second game of the Legends Series in Panama, the Yankees no-hit the Marlins through six until Giancarlo Stanton singled to begin the seventh inning. 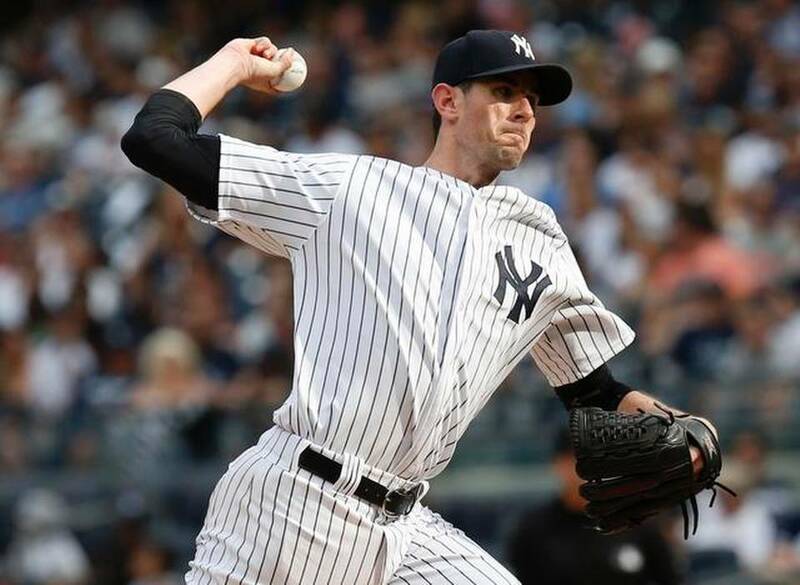 So, the day after being no-hit by the Marlins, the Yanks took a no-no of their own deep into the game. Luckily after all the excruciating, no-hit nonsense to report on last night, the Yankees took out their frustrations in split squad action this afternoon. The stateside crew beat the Atlanta Braves 7-4 and the team that was no-hit last night pounded out 15 hits today, and shutout the Marlins 7-0. 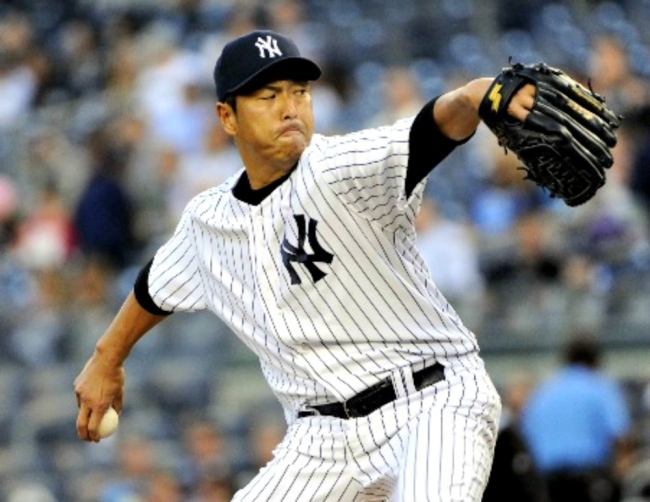 Everyone looked good in this afternoon’s action, including Masahiro Tanaka and CC Sabathia. 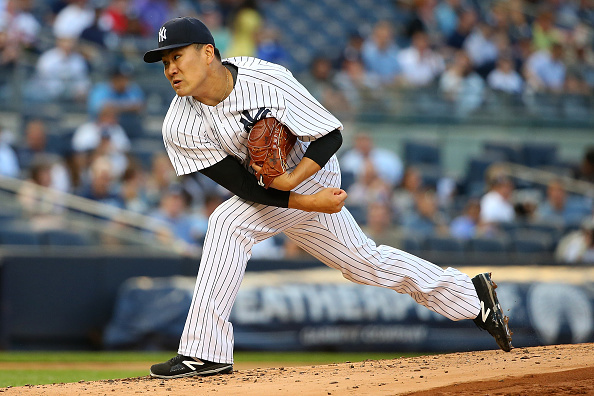 Tanaka pitched 4.1 innings at “The Boss” vs. Atlanta and only let up one earned run on just three hits. He walked two but fanned six, looking as tactical and as effective as Mike Mussina once looked. Mussina, if you remember, was not incredibly overpowering but so methodical in facing hitters; he had a game plan. 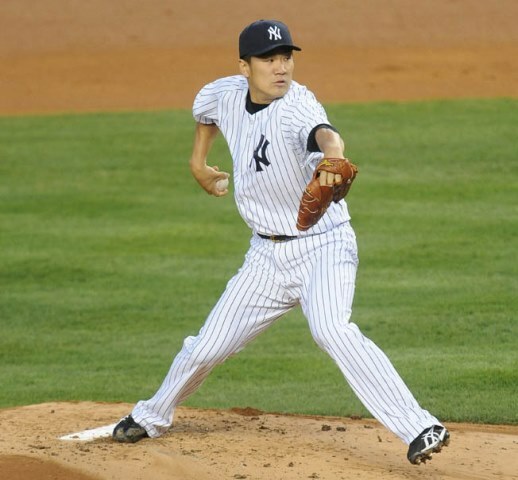 Tanaka looked to possess that “Moose”-like style today, at least in my opinion. 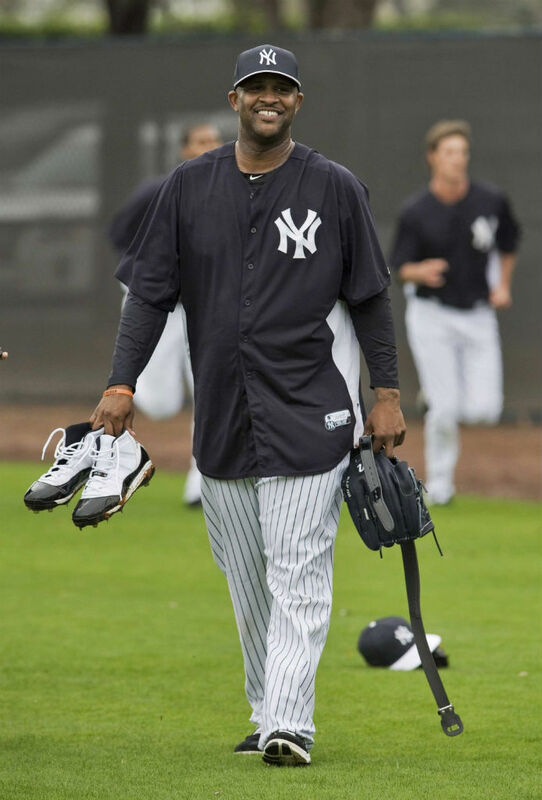 Sabathia, in the meantime, worked his best outing of the spring, tossing a perfect five innings against the Marlins; no walks and five Ks. Coming off such a subpar 2013, and not exactly turning any heads this spring, you have believe he needed a performance like today. I’ve recently become “one of those people” on Twitter who partakes in #ThrowbackThursday, posting an old picture from the past and describing it. 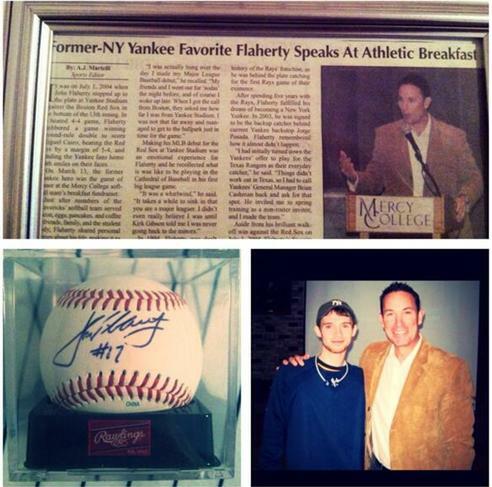 This past Thursday, March 13, was the five-year anniversary of my story on John Flaherty; the former Yankee catcher and current YES broadcaster came to my college (Mercy; Dobbs Ferry, NY) in 2009 to speak to the baseball and softball teams at their fundraiser breakfast. Flaherty told some awesome stories that morning, including how he was hung over the day he was called up to the major leagues – because he and his friends had gone out for “sodas” the night before. To celebrate the fun memory, naturally I decided to post a collage photo of my newspaper article on the former Yankee catcher, the ball Flaherty signed for me that day, and the picture he took with me. Tweeting the photo at him, Flaherty remembered the day and offered me kudos on a job well done, which was very nice of him. 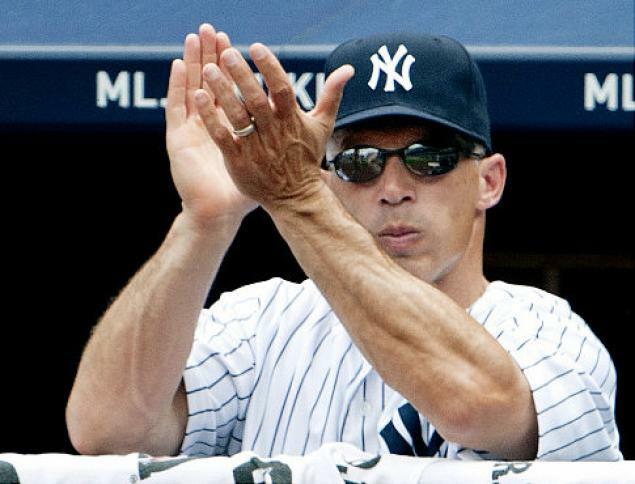 Joe Girardi will return … oh, and my dad met him! 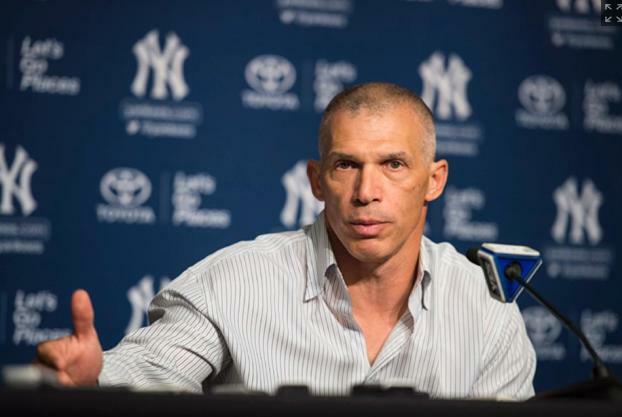 News broke this afternoon that Joe Girardi, Yankee skipper since 2008, signed a new four-year contract to return as manager of the Bronx Bombers. The pact is worth $16 million with postseason bonuses, and it quells all the rumors of him leaving the team – rumors that have been swirling since the Yankees’ season ended on Sept. 29 in Houston. 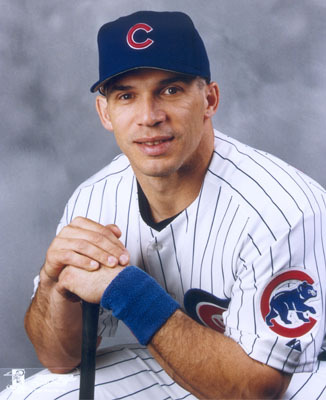 Sources said the Chicago Cubs were prepared to offer Girardi a lot of dough to lead their fledgling ballclub in 2014. This writer, however, can forgive Girardi if he wasn’t ready to accept a pool filled with dollar bills in exchange for leading a team that hasn’t won the World Series since 1908. Cubs fans should forgive him too. Girardi is 564-408 as Yankee manager, and will unquestionably pick up a lot more wins by the time his new deal is done at the conclusion of the 2017 MLB season. 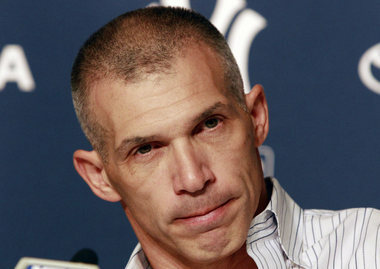 Had Girardi not re-signed, there were only three individuals, realistically, in mind to succeed him. The first choice would have been the obvious choice: bench coach Tony Pena. 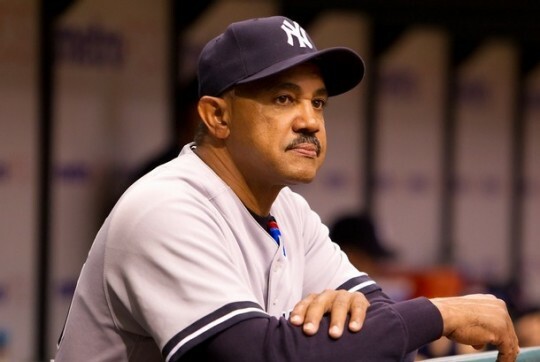 With experience managing not only the Kansas City Royals from 2002-05, Pena was at the helm of the 2013 Dominican Republic team that won the World Baseball Classic. 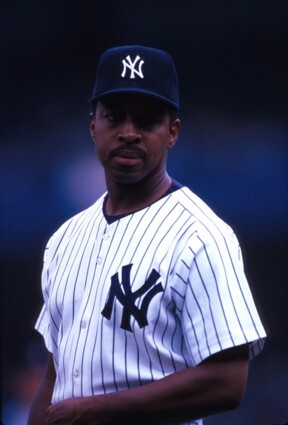 The next possible choice was Willie Randolph, who, although has never won a title as manager, led the New York Mets to a near World Series berth in 2006 and a league-best 97-65 record. 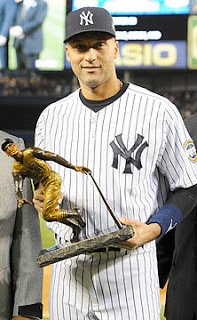 Randolph also served as a Yankee third base coach and bench coach from 1994-2004 – and despite not possessing any World Series jewelry as a skipper, owns six rings as both a Yankee player and a coach. What’s more, Randolph has been a part of the Milwaukee Brewers and Baltimore Orioles coaching staff in recent years. The last prospective successor to Girardi was Don Mattingly, but the former Yankee first baseman is currently in the middle of a hunt for a ring at the helm of the Los Angeles Dodgers. 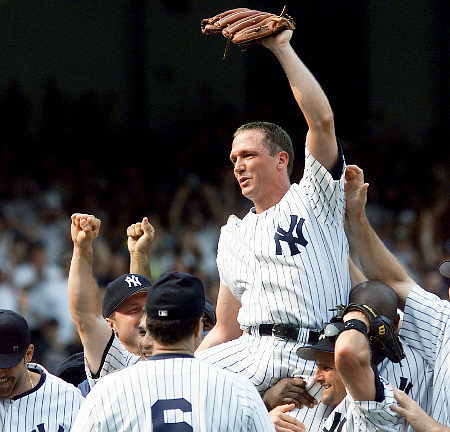 Donnie Baseball quickly shot down any notion of managing the Yankees, saying he had no interest in being Yankee skipper just six days ago. 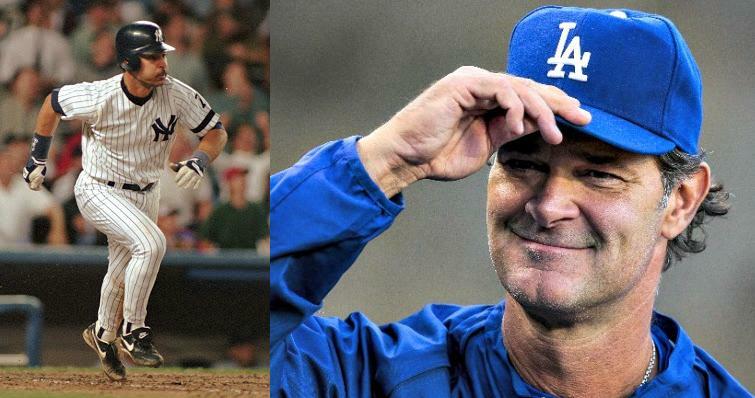 Mattingly’s contract is up for expiration at the end of this season, but given the huge turnaround the Dodgers have had, it’s likely he’ll be staying put in LA-LA Land. Of course winning a ring this year can’t hurt his odds at a return as manager of the big blue team out west, as well. On a personal note, I’ll probably remember this day not just for the announcement of Girardi’s return, but for my little anecdote about the whole deal. At the risk of keeping all readers guessing, I’ll explain. Even typing that, the jealousy continues to envelope me. The day Girardi gets the big contract, my dad meets him. What a story. With that, it’s possible my dad was the first person to congratulate Girardi – or at least acknowledge him remaining in pinstripes the day the news broke of his deal. 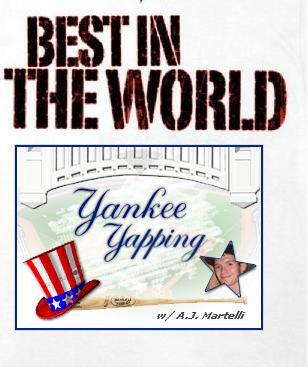 You cannot script Yankee Yapping. Girardi’s name is now added to list of sports figures my dad has met while working; now it’s up there with Vernon Wells (who my dad saw while working the day after Opening Day this past April) and Lawrence Taylor, whom he met working at the Westchester Airport this year. At least I had my moments with Bernie Williams. And Eli Manning. And hopefully someday (soon) I’ll get to meet, or at least interview, a lot more famous athletes. 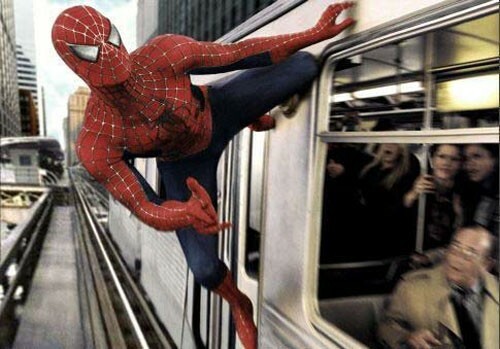 If you remember the movie “Spiderman 2” you may remember a scene on a New York City train that involved Spidey trying to protect innocent citizens from the hijinx of the evil Dr. Octopus. The Daily Bugle newspaper had done all it could to make Spiderman look like a menace rather than a hero, but being the true guardian he is, Spiderman still fought the villain. Might as well have been the slogan of last night’s fireworks during the Yankees-Red Sox game. 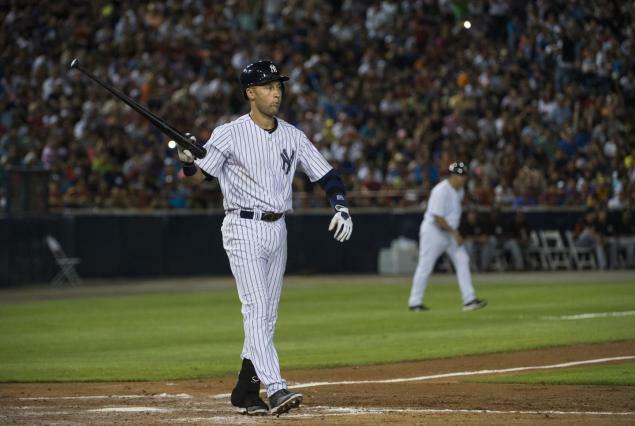 As Yankees fans, we may not be happy with Alex Rodriguez. There’s usually a media circus in baseball every season, but this year, it’s A-Rod who is driving the tiny car. The Biogenesis mess has turned Yankee fans on one of their own, as evidenced by A-Rod’s mixed reaction the day he made his first start at Yankee Stadium on Aug. 9. 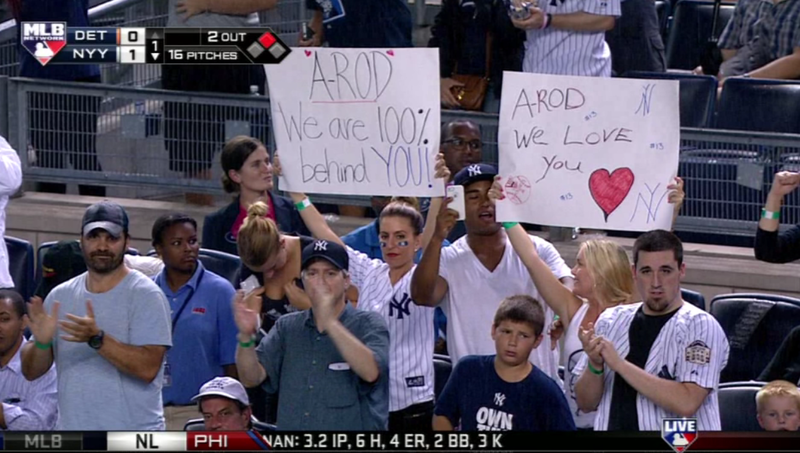 Up until last night, Yankee Universe only made time to cheer for A-Rod whenever he did something noteworthy at the plate, while booing him at every other chance. But after last night there’s a better chance more Yankee fans will rally behind him. After Red Sox starter Ryan Dempster threw behind Rodriguez, he buzzed him inside on two more pitches – and it’s worth mentioning all three pitches were fastballs. On a 3-0 count, Dempster plunked A-Rod on the elbow, singlehandedly igniting the Yankees-Red Sox feud: a feud that’s been dormant for the better part of five years or so. The benches cleared, the bullpens emptied, giving Fenway Park the ambience of old: the heated atmosphere once made famous by Thurman Munson and Carlton Fisk, and Pedro Martinez and Jorge Posada – and even Rodriguez and Jason Varitek. Heck, even Joba Chamberlain and Kevin Youkilis. This time however it wasn’t Rodriguez who was all that upset, but Yankee skipper Joe Girardi, who had some choice words for Dempster. 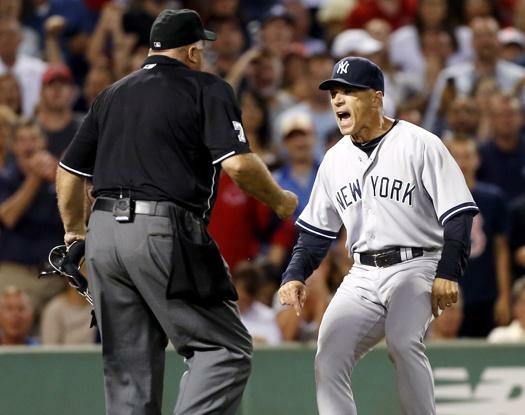 Girardi was absolutely infuriated with home plate umpire Brian O’Nora, as he never issued Dempster a warning, or even ejected Dempster, after clearly throwing at Rodriguez with intent. Girardi got his money’s worth and then some, vehemently arguing with O’Nora; getting in his face for a bad judgment call, not punishing a pitcher for an oh-so-obvious wrongdoing. 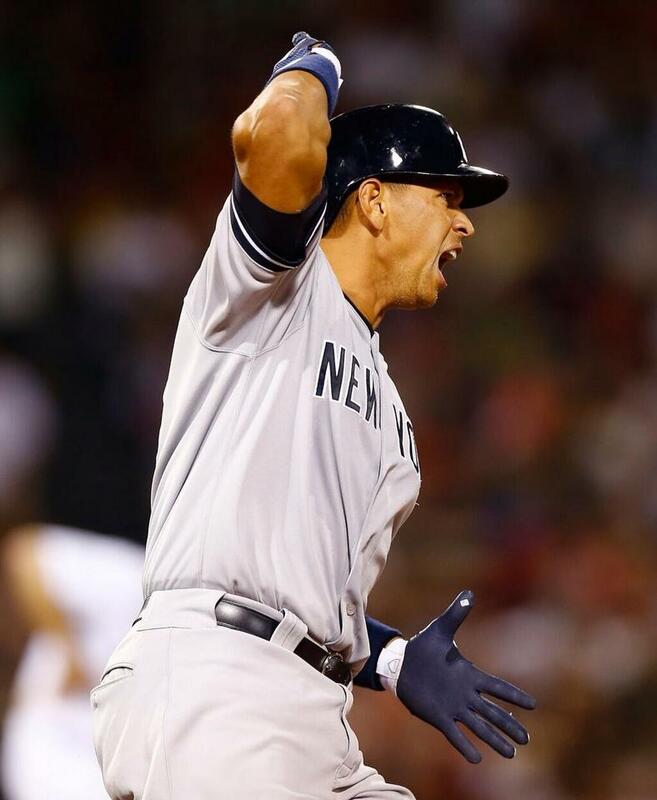 Girardi may have been ejected as the Fenway faithful cheered wildly, but A-Rod had the last laugh. 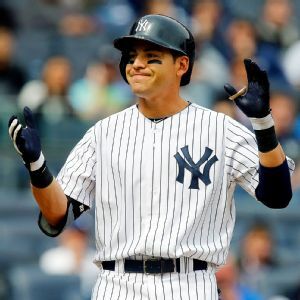 In the sixth inning, Rodriguez took Dempster’s offering deep; 446 feet, as a matter of fact, over the center field fence, an A-Bomb which, according to ESPN, was the longest home run tape measured by a Yankee this season. The solo tater cut Boston’s lead to 6-4. Brett Gardner ironically enough stood up for Rodriguez during the fracas, and wound up clearing the bases later in the frame with a triple to give the Yankees a 7-6 lead, which they never relinquished. 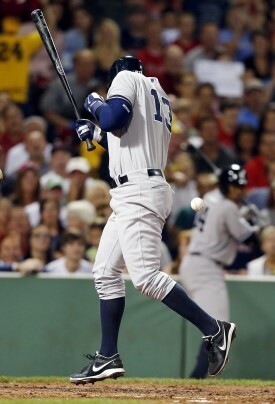 The Yanks got what they called “ultimate payback” by going on to win 9-6, taking the series from the Red Sox. Rodriguez called Dempster’s decision to hit him “stupid, silly and “unprofessional” – and the thought never occurred to this writer that Dempster beaned Rodriguez because, being heavily involved in the union, he doesn’t like the fact that Rodriguez is allowed to play while his 211 game suspension is being appealed. Actually, it didn’t occur to me until Girardi’s postgame presser. “Ryan Dempster has hit six guys in 320 innings; he threw the first ball behind him – intentionally – he threw the next one inside, he didn’t hit him – intentional. At some point Brian O’Nora’s got to give him a warning,” Girardi told a crowd of reporters around his desk in the clubhouse. “The one thing you can’t do is start changing the system because you don’t like it. Ryan Dempster has been a player rep, he has been very involved in the union, and he knows, this is what these guys decided to do [allow suspended players to play while appealing]. You can’t change it, just take your potshots. Girardi went on to mention that he would be disappointed if Dempster didn’t get suspended and miss a start. 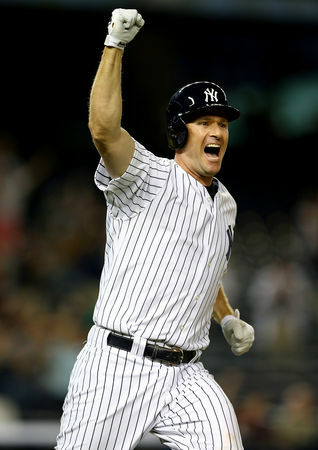 In his own words, “it has to cost him (Dempster) something.” The Yankee manager added how he thought the Boston fans – more specifically the kids in the stands – cheering a hit-by-pitch was not right. After Girardi said his peace, Red Sox manager John Farrell and Dempster both denied the intent behind A-Rod’s HBP; both said he was just trying to set up pitches on the inner half of the plate and establish the strike zone. Biogenesis – perhaps he took issue with that. Maybe that was the real reason he hit him? What’s bogus were Dempster’s postgame comments. It was obvious there was indeed intent behind the bean ball; although there haven’t been too many pitchers who have struck batters intentionally like Cole Hamels (as he did with Bryce Harper) and openly told the tale of how he proudly and maliciously plunked a hitter. 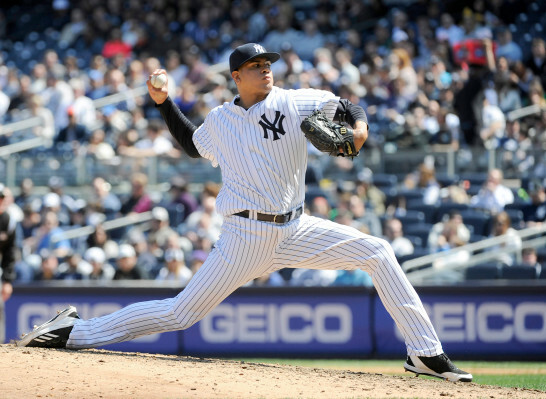 Fully expect Rodriguez to get a huge hand during tomorrow’ doubleheader vs. Toronto at Yankee Stadium. Dempster may have done him a favor by plunking him, and in the process, refueled the Yankees-Red Sox rivalry tank: a tank that’s been seemingly running on empty for awhile now. be quite an interesting encounter. 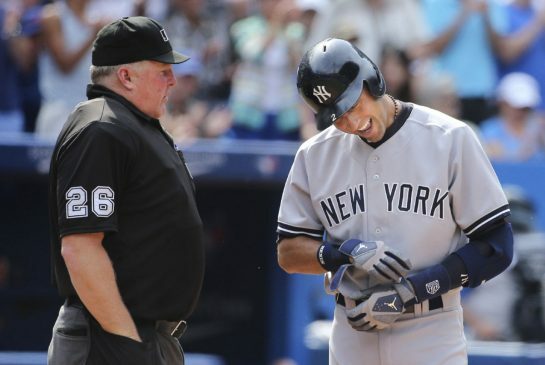 Rodriguez described himself as “pissed” after Dempster hit him. He added that the thought of charging the mound never entered his mind, because getting ejected and punished for a fight wasn’t an option. He called himself “too valuable to lose” when the Yankees are trying to win games. And while that may seem like an egotistical statement, A-Rod went on to say every Yankee player is too valuable to lose when they are trying so very hard to make a run right now. Instead of starting more trouble Rodriguez kept his cool and got revenge a much better way: obviously a long, loud, momentum-swaying home run. Better than getting ejected and (gulp) suspended for a basebrawl. 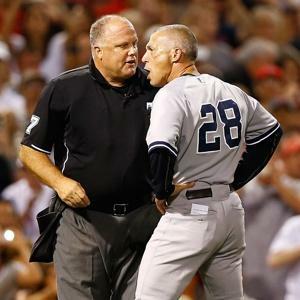 Yet keep in mind, Girardi mouthed off to Dempster, and in his haste before getting ejected by O’Nora defiantly claimed, “Someone’s getting hit.” It may not have been last night, but with seven games remaining – bank on a Red Sox player getting beaned by a Yankee pitcher at some point in retaliation. 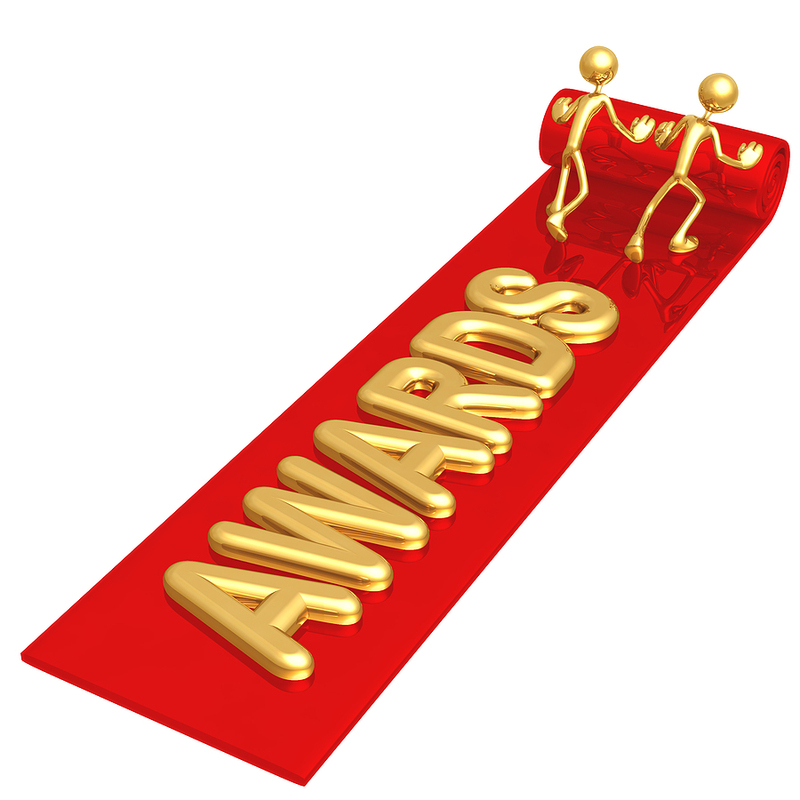 Again, it will undoubtedly be interesting, however it all unfolds. Because after all, we’re Yankees, right? You mess with one Yankee, you mess with all Yankees. Even if it’s A-Rod. I mean, he’s not heavy. He’s our third baseman.